Loyola Basketball Care for Real benefit Reviewed by Edgeville Buzz on November 12, 2010 . Two upcoming Loyola University basketball games will benefit Care for Real, Edgewater’s Food Pantry, and provide a big discount to those who attend. Anyone bringing canned goods, clothes or toys to either the women’s game against St. Xavier on Saturday, November 20 at 7 p.m. or the men’s game against Alabama State on Monday, November 22 at 7 p.m., will get two tickets for the price of one. 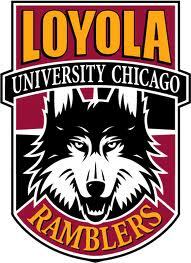 Both games will be played at the Gentile Center on the Loyola Campus. In addition, the teams will be sponsoring a 50/50 raffle in support of Care for Real. For more information, call (773) 508-WOLF or e-mail bsisson@luc.edu.